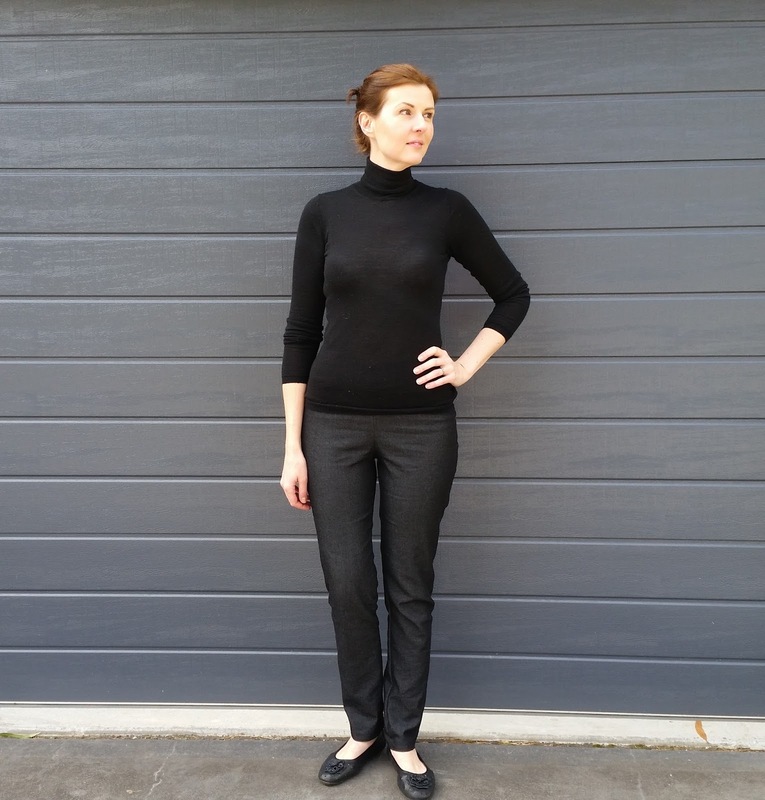 This week I made pants! I have made a number of skirts, dresses and tops from self drafted patterns (for my non-sewist readers: self drafted means you make the pattern, it's not a purchased commercial pattern) however I have never attempted fitted pants. I thought pants would be too tricky. A lovely lady from my knitting group gifted me her 20+ year old Sure Fit Designs kits (they are still available, and I'd recommend them!) so I thought I'd give pants a go. 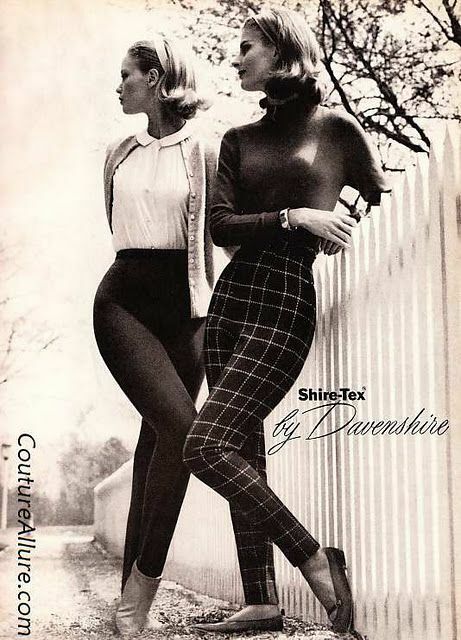 I love the 50's style high waisted cigarette style pants (sort of a jegging with a back zip!). However, being tall it's hard to find them with a long enough rise (crotch length) - the tall girls know what I'm talking about!! 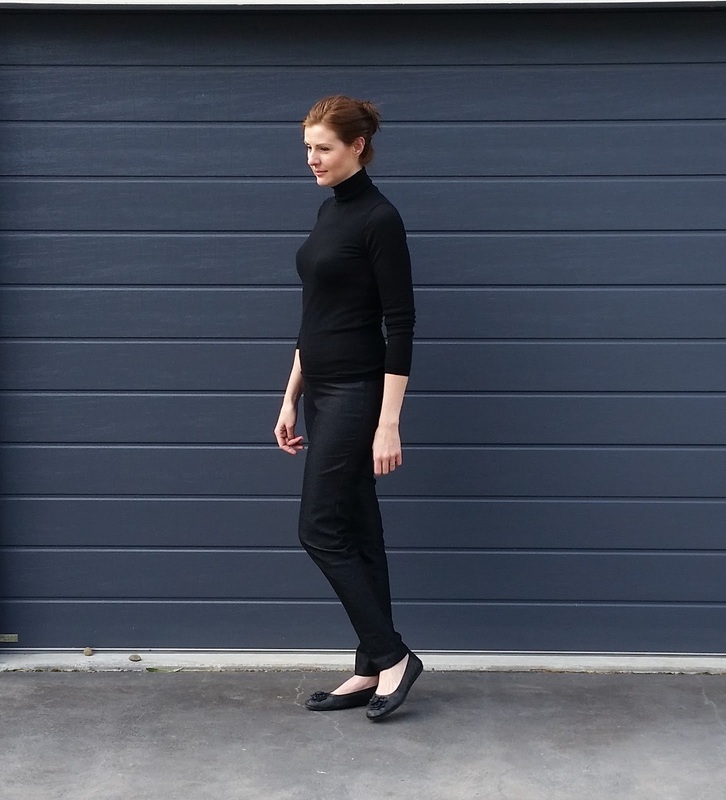 I used an inexpensive stretch denim to make a wearable muslin (sewing code for: wearable but okay to make many alterations on & junk if it all goes horribly wrong!). After 4 fittings and rounds of alterations I was happy with the end result. I was unsure about the high waist but they are so comfortable! No muffin top to be found! What have you made with a self drafted pattern? Bravo! These pants look perfect. Very chic and they sound comfortable - combining these two aspects is always the holy grail for me! I definitely know what you mean about rise problems. I ordered a pair of custom made jeans a few years ago and it was wonderful to be able to choose my rise length (as well as all of my other measurements). Wow! How impressive. I've always loved this style and you captured its spirit. Given the fittedness of pants, it must take huge skill to pull this project off. Super cute! Love the whole "Audrey Hepburn" vibe! Great 50s spirit, classy, elegant but informal at the same time. Love how the black top looks on you! Thank you Paty! I appreciate you taking the time to read & comment. I have some 1950's vintage dress patterns which I'm looking forward to making & will be appearing on my blog in the near future. So Audrey inspired! FAB! Thanks for sharing with Fun Fashion Friday! Oooh I love these. It's like something straight out of Mad Men! Wonderful post. These pants looks amazing on you - great job of drafting your own pattern!